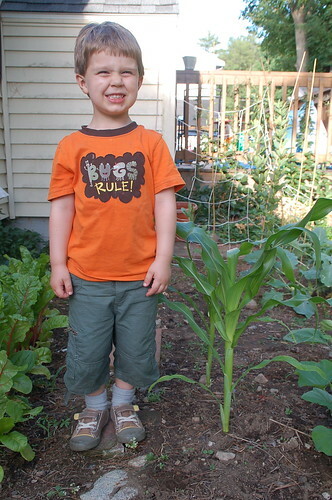 Congrats to MA Recipients of USDA Farm to School Grants! Massachusetts Farm to School Project (under the Farm Bureau Agricultural Preservation Corporation) will receive a $100,000 grant for an 18-month project to create a statewide Farm to School Nework, provide culinary leadership training to food service professionals, implement programs in low-income school districts, and more. Ezra H. Baker Elementary in West Dennis was awarded nearly $30,000 for the “Three Sisters Project,” which uses multi-disciplinary activities and curriculum to reconnect students to the agricultural heritage on Cape Cod. These Massachusetts organizations and schools are among the first class of grantees under the USDA farm to school program. This program was authorized and funded with the Healthy Hunger?Free Kids Act of 2010 in order to assist eligible entities in implementing farm to school programs that improve access to local foods in eligible schools. If you’d like to learn more about Farm to School initiatives, check out the Go Green for School page in the JSI Resource Center. In the Garden and Farm to School category, we feature online resources focused on increasing access to healthy, locally grown food in schools. Have you heard about the Smarter Lunchroom Movement? Founded in 2009, the Movement is dedicated to providing low and no-cost solutions to school lunchrooms which encourage kids to take and eat nutrient dense foods such as milk/cheese, fruits, vegetables and healthful entrees. The movement focuses on adjusting the school food environment through sustainable, cost-effective methods to promote healthy eating. Smarter Lunchroom best practices are founded on research-based principles that are the most effective ways to “nudge” kids to make healthy choices when provided with the full spectrum of choice in school nutrition programs. Cornell researchers have found these methods bring results – for example, displaying new, appealing names with vegetables increased consumption by as much as 70%. JSI and the B.E.N. Center at Cornell University have partnered to bring a day-long Smarter Lunchroom training session to Framingham State University on November 29. Registration is full for that session, but JSI and the Smarter Lunchroom Initiative wants to extend this training opportunity to all parts of the state – particularly schools or school districts in Western Massachusetts. If you are interested in hosting a Smarter Lunchroom training in your school, please email Karen McGrail to find out more! Also available on the Smarter Lunchrooms web site is the Creating Smarter Lunchrooms Online Course – which is SNA accredited for 2 CEUs. Interested in more about ways to promote and market healthy eating? Visit the JSI Resource Center’s “Promoting Your School Nutrition Program” page for links to more online resources. You can also follow Smarter Lunchrooms on Twitter. Statewide anti-hunger organization, Project Bread, is offering up to $1500 in grant funds to help low-income Massachusetts school districts participate in JSI’s Back To Basics culinary training Workshops to Go series! JSI’s Back to Basics is a series of 3-hour culinary trainings including Fresh Vegetables & Fruits and Whole Grains (both currently available to schedule), and upcoming Meat & Meat Alternatives and Dairy (both available to schedule starting in January 2013). Links to online resources featured in Back to Basics trainings are available in the JSI Resource Center. To be eligible, districts must have one school with at least 50% of children eligible for free/reduced meals, or multiple schools with at least 40% of children eligible for free/reduced meals. Project Bread will give priority to districts with self-operated school nutrition programs. In addition to covering the cost for the JSI Back to Basics workshop, grant funds may also be used to purchase food supplies needed for the workshop, subsidize the cost of employees’ time to attend the workshop, and/or purchase small equipment to enable scratch cooking in your school kitchens. Applications will be accepted on a rolling basis through April 30 2013 – find out more here. The Updated JSI Resource Center is Now on our Blog! The John C. Stalker Institute of Food and Nutrition (JSI) Resource Center is a comprehensive, easy-to-access collection of web-based school nutrition and wellness resources vetted by JSI’s staff for quality, relevance, and value. JSI designed the Resource Center to be a one-stop source for nutrition resources, reports, lesson plans, training tools, and more for anyone interested in creating a healthy school nutrition environment. The JSI Resource Center recently moved to a new platform and is now on our blog! Starting from the main page, visitors can access the directory of online resources across nearly 20 categories including school nutrition regulations, training for school nutrition professionals and childcare providers, social media for school nutrition, and nutrition-focused lessons for grades K-12, We even have a collection of online resources featured in JSI trainings and workshops. Now there’s no need to spend hours searching online! Using the JSI Resource Center means the work of searching the web for the latest information from credible sources has been done for you. Just point your browser to the JSI Resource Center’s main page and get started!